The government is open for business in Scotland: public sector members of the Supplier Development Programme have encouraged more SME businesses than ever before to participate in public sector tendering. 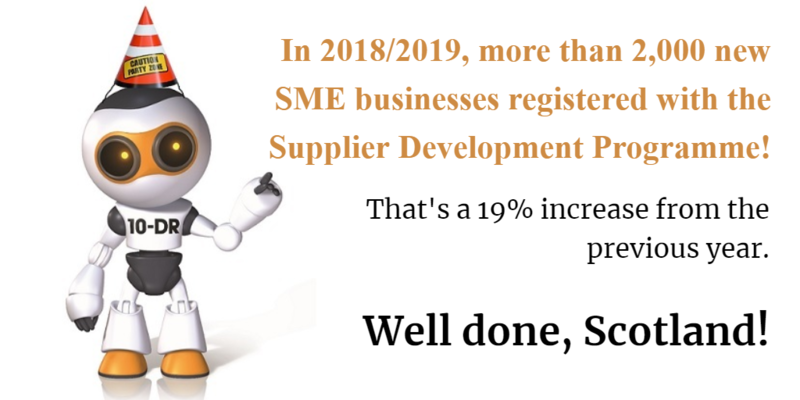 In 2018/2019, more than 2,000 new SME businesses registered with the Supplier Development Programme. That’s a 19% increase from the previous year. SDP looks forward to seeing what can be accomplished in 2019/2020!